After all points were compiled during the 'Graduation Gathering' at Boar's Head Lounge on Oct. 20th, the Blue House (Eagles) walked away with bragging rights for 2018! Bummed your house didn't win? 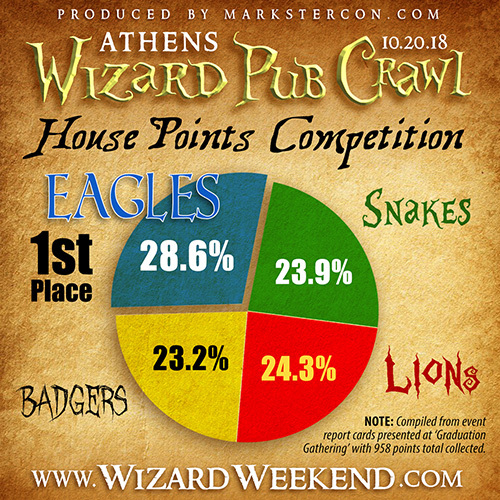 If so, make sure to reserve the date of Sept. 14th, 2019 on your Wizarding Calendars as that's when the WIZARD PUB CRAWL will return to Athens!